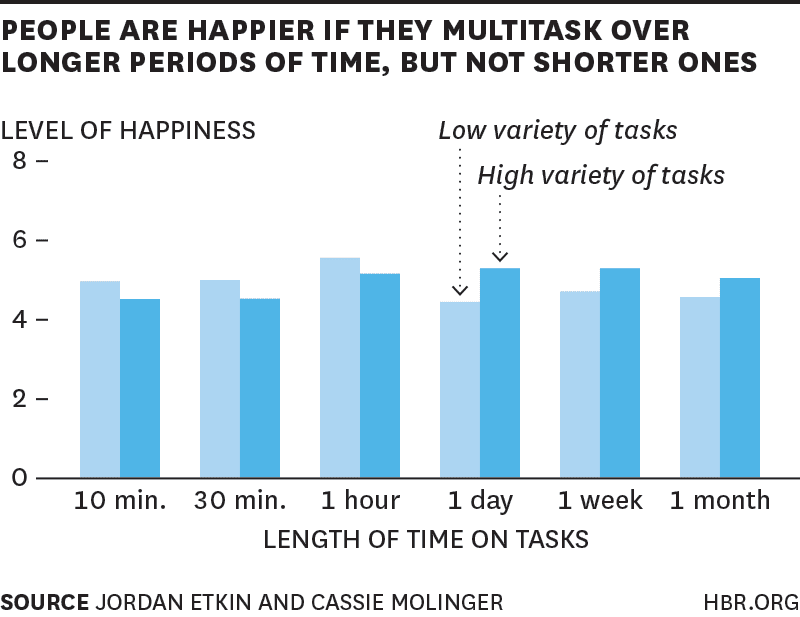 Does multitasking make us happy? What makes you feel better, go running, meet friends, prepare nice dinner, finish your work and watch a movie, or just only focus in one activity, such as meeting your friends? What give us more happiness, the joy of doing lots of things, or the satisfaction of doing only one but more accurate and in a better way? The investigations from Jordan Etkin, Cassie Mogilner (2015) reached to the conclusion that it depends on the amount of time we have to perform the activities we do enjoy more doing high variety of tasks or just focus in one activity. The measure of happiness was based on two questions: How happy do you feel right now? And how satisfied do you feel right now? Shorter the time is, we prefer focus. Longer the time is, it gets all about diversity in the tasks. So as we can see in the graphic, the threshold is in 1-hour-duration activities. So according to this investigation, if we have less than one hour, focusing in fewer tasks will give us more satisfaction. But in the other hand, more than 1 hour may be marginally you got more satisfaction by solving high variety of tasks. It is all about the sensation of productivity. More accomplished tasks in the same period of time makes people feel they are taking advantage of time. But nothing is free in life (isn’t it? ), changing activities results in energy and cognitive resources spending. 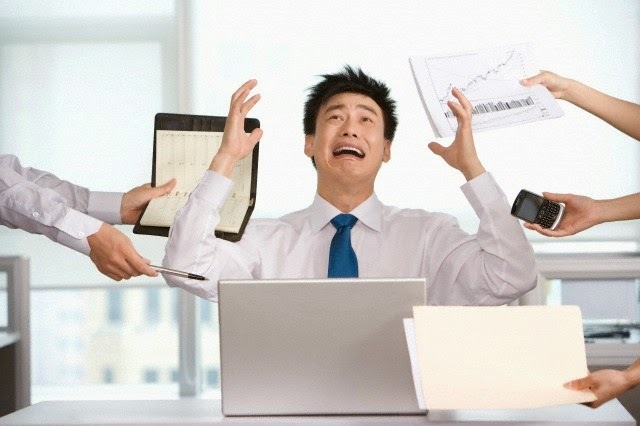 So people stress and loss productivity by switching their tasks. As conclusion, shorter periods just do not put up for the cost of changing so it is more efficient to focus in fewer tasks. So be careful, organize yourself and be happier! !